Arizona State University’s designation as a National Center of Academic Excellence in Information Assurance Education has been renewed by the National Security Agency and the Department of Homeland Security. The redesignation for education programs in information assurance, which extends through 2017, enables the university to continue to support students through the National Science Foundation’s Scholarship for Service program and the Department of Defense Information Assurance Scholarship program. The competitive scholarships go to students in computer science and computer systems engineering programs with an information assurance concentration – a focus on areas of study that address a growing need for federal information assurance professionals to protect the government’s critical information infrastructure. The university also holds a designation as a National Center of Academic Excellence in Information Assurance Research, which was granted in 2009 and extends through 2014. 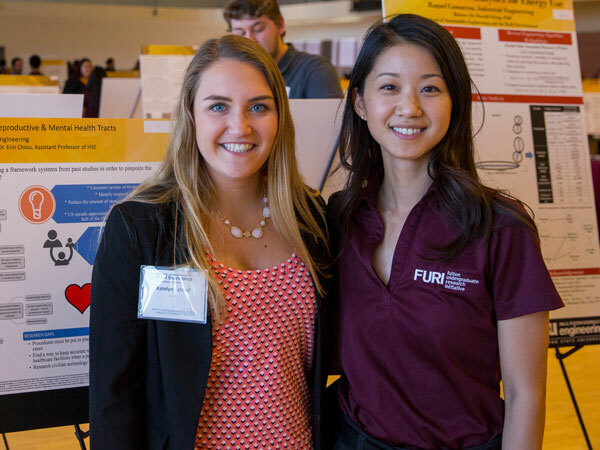 A number of the scholarships and grants for education and research have been awarded due to the work done through the Information Assurance Center in the School of Computing, Informatics, and Decision Systems Engineering, one of ASU’s Ira A. Fulton School of Engineering. The Information Assurance Center, directed by engineering professor Stephen Yau, concentrates on research addressing the challenges of ensuring the security and quality of information being stored, processed and transmitted by information systems and networks. Twenty-seven ASU faculty members are now participating in the center’s work. Twenty are from the Ira A. Fulton Schools of Engineering – including its School of Electrical, Computing and Energy Engineering – with others from the W. P. Carey School of Business and the College of Technology and Innovation at ASU Polytechnic campus. The center also is involved in technology transfer and continuing education for industry. It assists with information assurance education activities for other schools, especially those serving underrepresented minority groups. For more information on research and educational activities of the center, visit http://ia.asu.edu/.